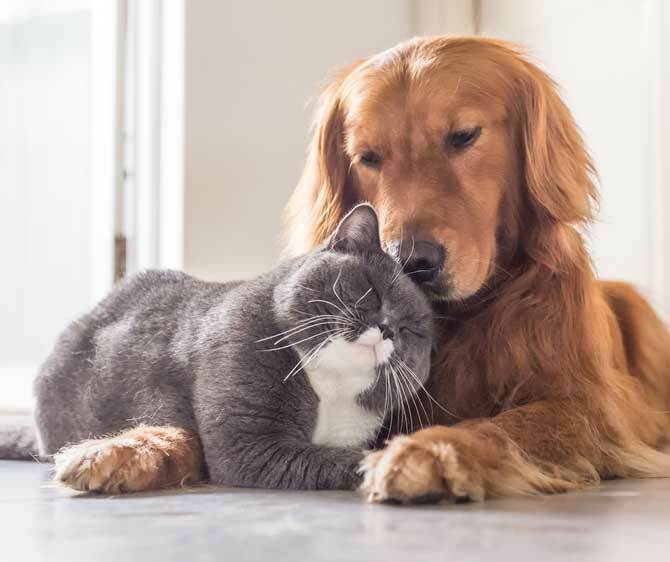 Pet owners keep their pets in the best of health by taking them for regular check-ups with a veterinarian, and following any course of medication that he or she advises for them. Here at Canada Drugs Direct, we have an extensive selection of PetMeds and all of them are made available at the very best prices. Compare our prices on PetMeds with average ones offered by pharmacies across the USA. We imagine you’ll quickly come to see that ordering PetMeds Online from Canada offers you much in the way of savings, and at Canada Drugs Direct all prescriptions for pets are filled exactly as prescribed by our licensed professional pharmacists. The most common ailments, diseases, or conditions for pets that are addressed by PetMeds include congestive heart disease, heartworms, flea and tick infestation, osteoarthritis, endocrine and cognitive dysfunction, dysentery, and more. In addition, there are some conditions that occur in larger or smaller breeds of dogs and cats more frequently. We have PetMeds to treat all of these conditions, provided they are prescribed by your veterinarian and deemed to be the best course of treatment. Vetmedin, Revolution, Frontline Plus, Nuheart, Previcox, Anipryl, and Comfortis are among our selection of PetMeds online here. You can look up other medications in the search field above, or browse them alphabetically. Last but not least, ordering pet prescriptions online from Canada through Canada Drugs Direct is super easy and straightforward. That’s the way it should be, giving you more time to get on with other things AND spending more quality time with your beloved pet.